Applications in prescribed format are invited from citizens who are interested Indian for filling—up of Veterinary Officer Group-A (Gazetted) under Department of Animal Husbandry and Veterinary of Arunachal Pradesh Government. Eligible aspirants may apply online mode by visiting the official site of Arunachal Pradesh Public Service Commission before the last date. Candidates also check other details related to APPSC Veterinary Officer Recruitment 2017 like how to apply, Veterinary Officer (VO) previous question papers, solved question papers, last 5 years question papers, Animal Husbandry and Veterinary Science Question Papers, Syllabus in Hindi and more details are given below. Educational Eligibility: Applicants must have possessed Bachelor Degree in Animal Husbandry and Veterinary Science from recognized University. 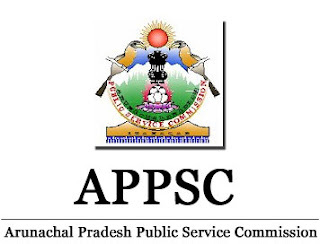 Application Fee: Rs.100/- for APST & 130/- for others in the form of DD/IPO in favor of Secretary AP PSC, Itanagar. Last Date to Submit Online Application: 24th July, 2017 till 4 PM. Candidates who are preparing for Arunachal Pradesh Veterinary Officer Group-1 posts they must and should need to know what is the question paper pattern, syllabus, last 5 years animal husbandry question papers, to get a high score in the written exam. Here I am sharing APPSC Veterinary Officer Question Papers and Syllabus. I hope these question papers will help a little bit.